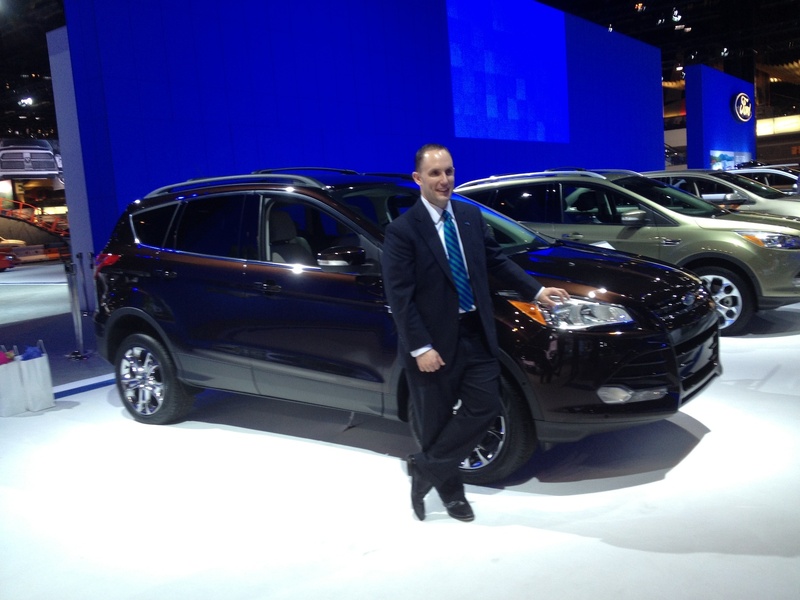 With over 2 million vehicles sold since it’s introduction in 2001, the Ford Escape is America’s best-selling SUV, so I was quite enthusiastic to speak to Jason Sprawka, Escape Marketing Manager, at this year’s Chicago Auto Show, and hear about the future plan for this bread-and-butter vehicle. Sprawka started off by explaining that “most consumers start in the middle (size-wise) when car shopping. The middle is largest segment. Then from there, they move to bigger or smaller options.” The new model boasts a sleeker and more modern design. In their research conducting focus groups and satisfaction surveys regarding the Escape, Ford found that the area with the largest room for improvement was the design. Consumers wanted modern sophistication. Sprawka shared that “the SUV elements are what people like about the current Escape, primarily the cargo room and tow capacity. 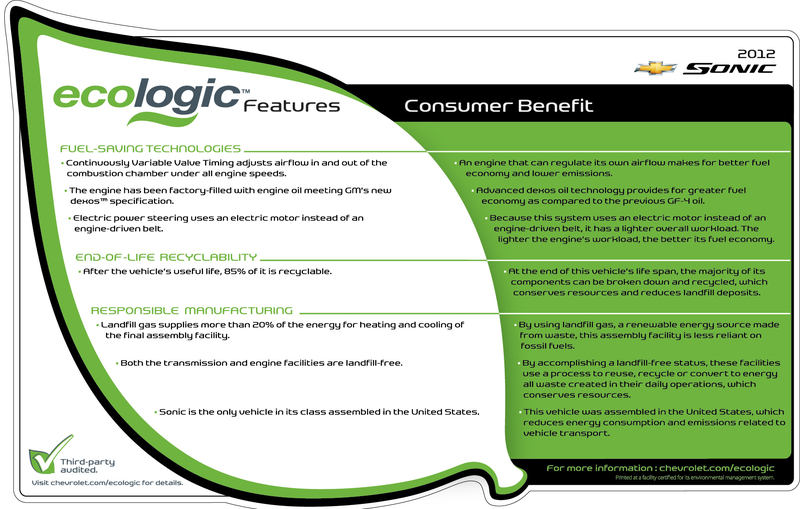 In redesigning the vehicle, we not only included these elements, but we improved upon them. There’s more cargo space, as the vehicle in four inches longer, yet a sleeker design gives the illusion that it’s not longer.” Not only is the sleeker design aesthetically pleasing, but the sleeker design makes the Escape nearly 10% more aerodynamic…which, of course, means better fuel economy! 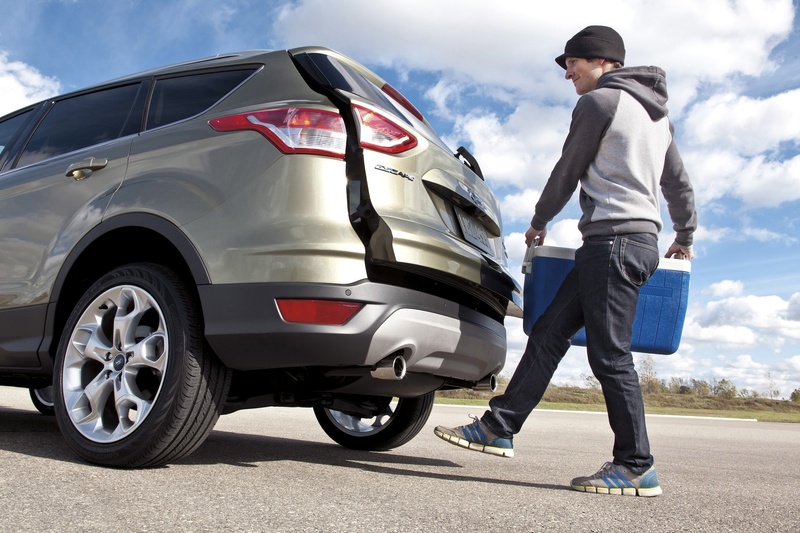 Standard in the 2013 Escape is the 2.5L, 4-cylinder naturally aspirated engine. For the fuel efficient-minded consumer, the 1.6L EcoBoost engine provides better performance, and the highest level of efficiency. And for those looking for the punch, the 2.0L EcoBoost boasts 240 hp, yet gets around 28 to 29 mpg. The new model is projected to be up to 5 mpg better than outgoing model, AND best in its class of compact SUVs. The 2013 Escape is the first Ford SUV to combine class exclusive technology– Curve Control, (which slows vehicle when it detects that you’re approaching a corner too quickly), and Torque Vectoring Control, (which helps transfer torque from the pivoting tire to the outside tire to maintain stability when accelerating through a corner.) The new Intelligent 4WD helps keep control of the vehicle in adverse driving conditions, and also provides excellent traction off-road. Using 25 external signals to function, including wheel speed, accelerator pedal position and steering wheel angle, this allows the system to assess road conditions and driver input 20 times faster than the blink of an eye. Furthermore, as I mentioned earlier, there’s more cargo volume than outgoing Escape, partially due to the approximate 4 inch increase in length– 68.1 cubic feet of space behind the first row and 34.3 behind the second. The seat backs easily fold flat— there’s a button for the head restraint, as well as a lever for the seat to flip forward. The two-position load floor allows for either maximum luggage volume or a flat load floor. AND, for those concerned about the utility aspect of the vehicle, the Escape has a trailer tow rating of 3,500 lbs. So who’s the target customer? Well, let me preface this by noting that the small SUV segment fluctuates between the 3rd and 4th largest segment in the country. Essentially it appeals to all, which represents a huge opportunity for those who can capture the market. As to pricing– it remains about the same. However, I would like to note that despite the addition of all the new technology, the base price of $23,295 is is $200 less than the current Escape! 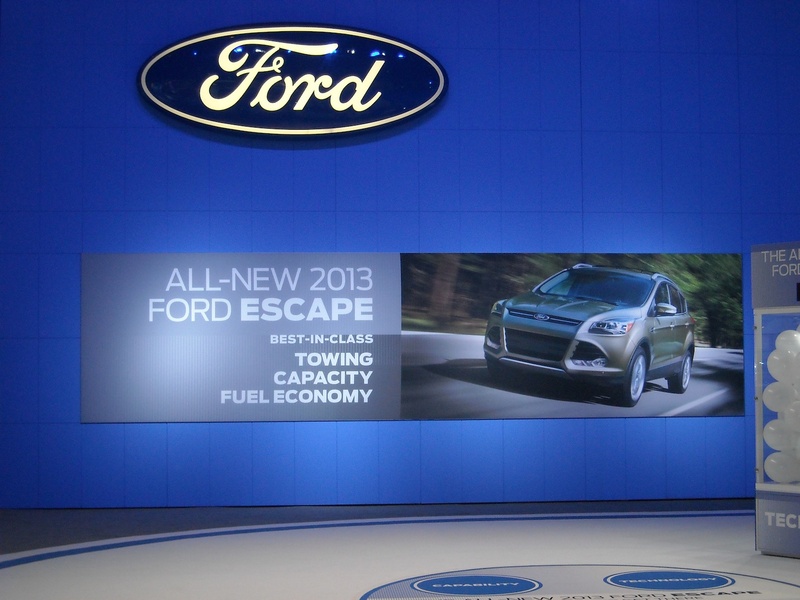 The newly designed Escape presents a global opportunity for Ford. In Europe the sale of compact sport utilities has increased by 200% since 2000. The Escape will be revealed in Europe (March) at the Geneva Motor Show as the “Ford Kuga,” with its own unique powertrains and features. China will see the Kuga in the spring. So will the new Escape live up to the public’s expectations? Well, the design is distinctively different than the current model, which may deter some, but will obviously attract others. That being said, in today’s society, when most of us are looking for versatility AND more technology in our vehicles, there’s no doubt that the 2013 Escape fits the mold. 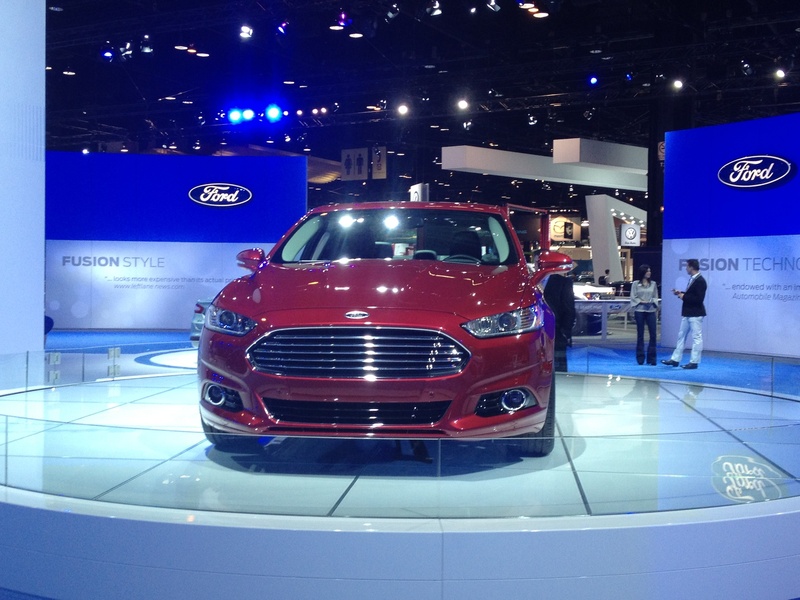 How does one begin to describe the new 2013 Ford Fusion? “High visual quality, improved materials, attention to detail, and elevated levels of craftsmanship— so it feels like quality to the driver. 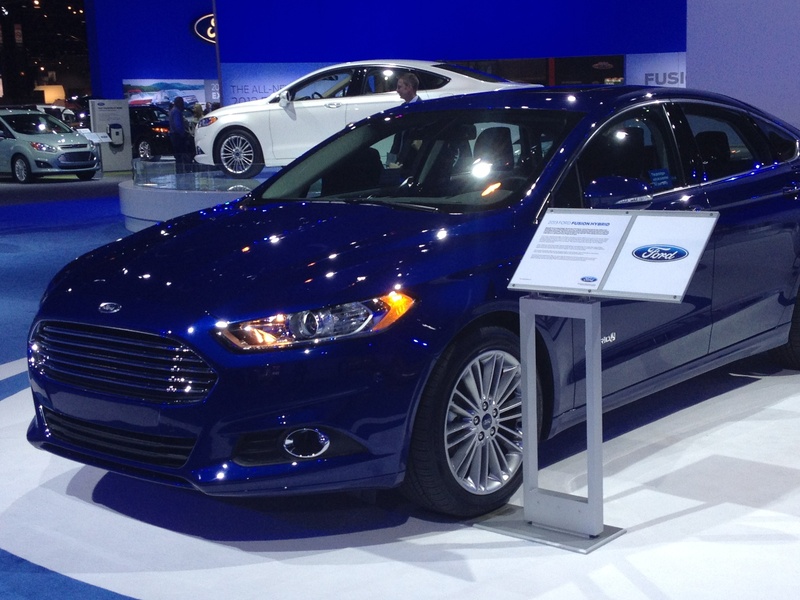 This is a culmination of the best platform globally,” says Zack Nakos , Product Marketing Manager for the Ford Fusion. By 2015, this platform will serve as the derivative for over a million vehicles, beginning with the Fusion in the U.S., and followed by the Mondeo next year in Europe and then in Asia. And it’s no doubt that this dramatically redesigned vehicle demands attention. 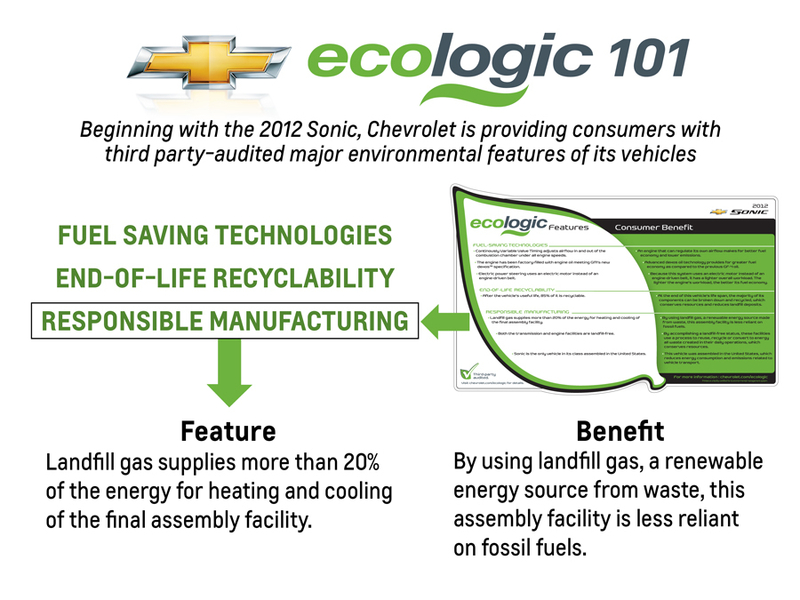 The current hybrid boasts a nickel-metal-hydride battery, but in the 2013 model, it’s been replaced with lithium ion. Most of you are probably wondering what the hec does this mean? Well it’s 50% less weight and consumes 25% less space than the former option. It also raises the speed under electric-only power from 47 to 62 mph. So at the end of the day, you save weight, add power, and increase the cargo room by saving space. Now let’s talk technology– it was a major focus at this year’s Chicago Auto Show across the board, but Ford’s no stranger on the subject matter, leading the way in the industry with what they have to offer. 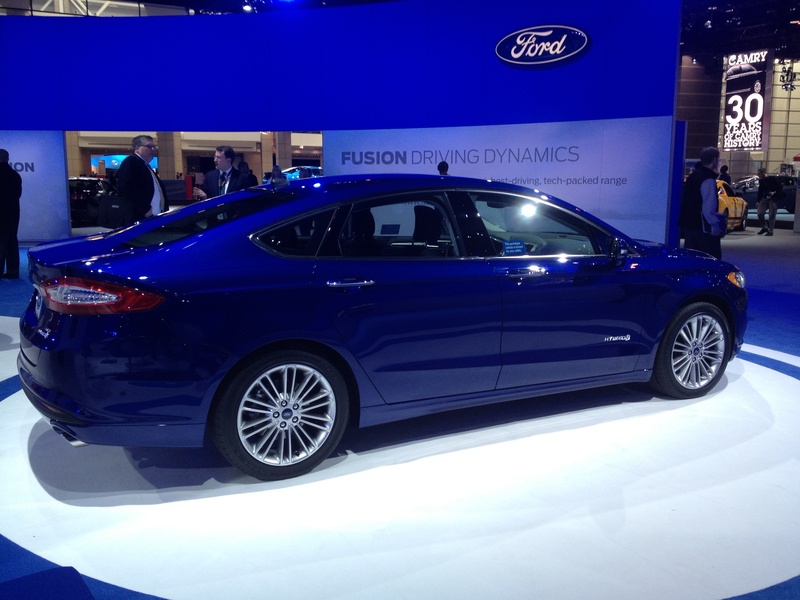 Featured in the Fusion is their first automatic transmission with an automatic start/stop system. This stops engine power when vehicle is stopped and seamlessly restarts as driver releases the brake pedal— in turn, this helps to reduce fuel consumption and emissions by about 3.5%. spot. And Active Park Assist helps alleviate the anxiety of parallel parking by calculating the trajectory and steering the vehicle into a parallel parking space. Adaptive Cruise Control, when activated, can detect slow traffic ahead and slows the vehicle to the appropriate speed, resuming the set speed when traffic has moved or increased speed. It also incorporates Collision Warning which warns the driver of a potential collision and assists in decreasing brake time by pre-charging the brakes. The new model has grown, (literally), one inch bigger in height and one inch bigger in length, and the nearly five inch bigger wheelbase gives the illusion of grandeur, coupled with the sleek and sophisticated exterior styling. Pricing has not yet been revealed, but you can expect the base price to start just above $20,000. And specifically for the ladies? Well the number one concern was ergonomics, according to Nakos. 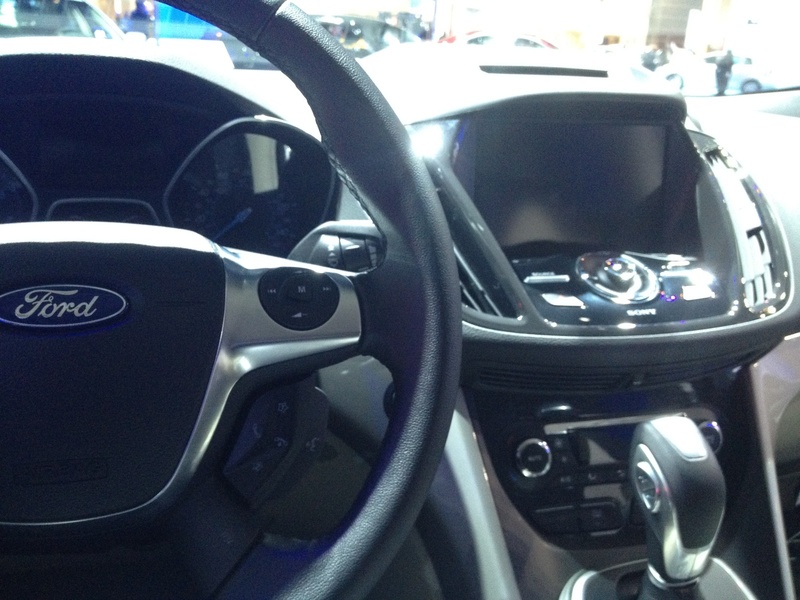 Ford conducted both external and internal research, and to that end, one of the main goals was to create a comfortable, yet safe driving position for the female driver, (apparent when I sat in the driver’s seat.) A lower, flush lift-over for the trunk also makes it easier for shorter people to load and unload cargo. In terms of safety, the body strength was increased by 10%, and dual front row knee airbags were added, along with adaptive front airbags that vent and tether to conform to the specific occupant’s size, position, and seatbelt usage. 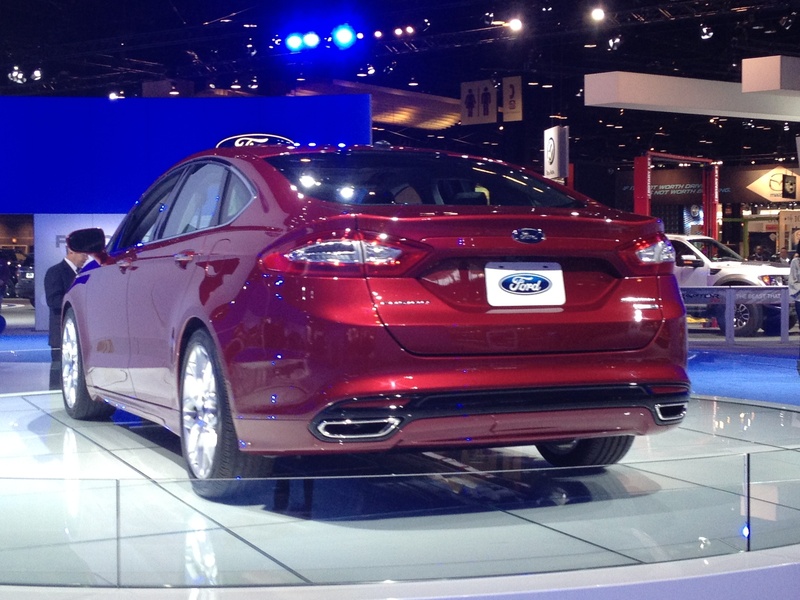 Produced in the Hermosillo, Mexico plant and later in Flat Rock, MI, the Ford Fusion will be seen in North & South American dealerships later this year, followed by the Mondeo in Europe and Asia next year. As most of you know the 2010 Ford Fusion received several accolades, including Motor Trend’s Car of the Year, and from what I can see, the future looks pretty bright.